Miranda Day Bag - Retail $10.00 [LGD123] : Wholesale Purse Patterns, Purse Patterns at wholesale prices for quilting shops, craft stores, and fabric shops. The Miranda Day Bag pattern is perfect to carry during the day with 10 handy inside pockets. Instructions are included for both long and short handles - your choice. Finished size is 12" x 10" x 6". 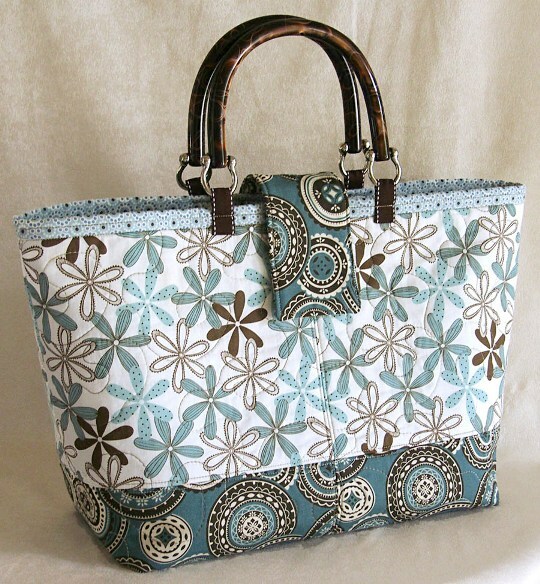 The Bag-E-Bottom D is available for this pattern and gives your handbag a finished look!